With the bliss of summer feeling like it might be soon coming to an end, your mind might be moving towards the first hurdle you will face next year. Without doubt the UKCAT is one of these huge hurdles, especially when there is a new section this year with few available resources to practice for it. The new Decision Making section requires an astute understanding of logical rules and a disciplined approach. All at a rapid pace. Applican has created a new UKCAT course this year that is the most accessible and best valued in the UK. Below is a flavour of several mock questions from the new Decision Making section of the UKCAT. Attempt these in your own time, but remember, in the real exam you have only..
*TIP: 'equidistant' in this question means 'neighbouring'. For answers and queries, please email appicanscotland@gmail.com and we will send you the solutions. At Applican we believe that the UKCAT is a test that requires planned preparation and a strategic approach to achieve excellent results. Therefore, we advise setting aside at least 4 weeks of preparation time before the big day. 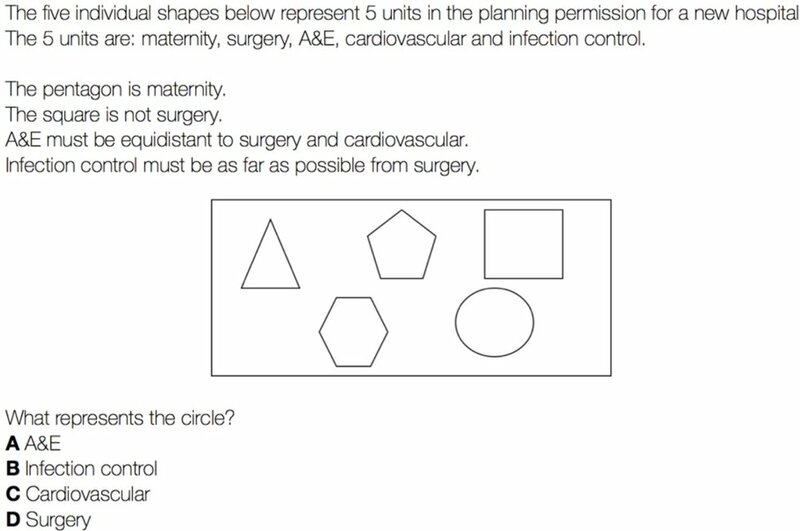 These questions are a small glimpse of the practice questions you will receive at the Applican Intense UKCAT Course which is taking place in Edinburgh, Glasgow and Belfast. Incase you can't make it to our UKCAT course, you can purchase the Applican UKCAT booklet which contains all of our practice questions, solutions and a mock exam. This booklet will be available from 1st August 2017. Buy it here. Older PostApplican welcomes over 140 students to Edinburgh Medical School!